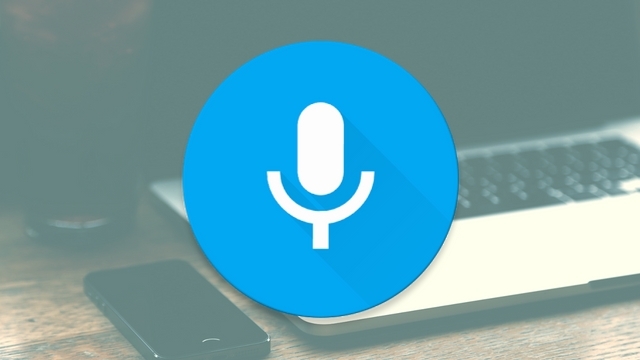 Is Voice Search About To Go Mainstream? 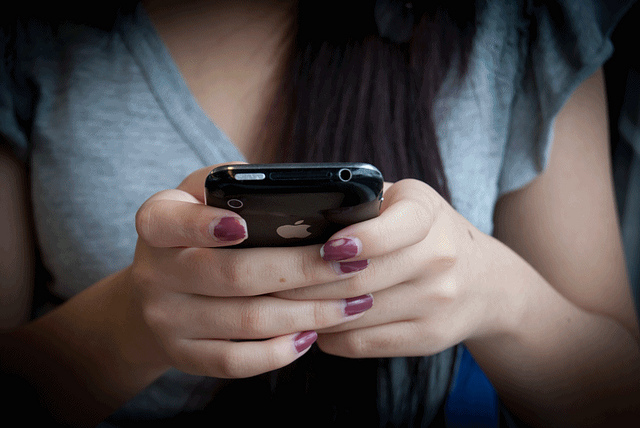 Is voice search the next big thing? While more and more people are becoming accustomed to talking into their smartphones, tablets, and smart watches to take notes, get answers, and send messages, most people consider voice search a novelty. However, Bing’s “Search Evangelist” says voice search could become ubiquitous with online searching sooner than you may think, as AdWeek reports. Speaking at Advertising Week on Thursday, Christi Olson said she expects voice search to go mainstream within the next five years. This might seem like a big claim, considering voice search capabilities have become common on all smartphones and computers in recent years and yet voice search queries only make up between 5 and 10 percent of all searches made on Bing every month. But, Olson says companies should start planning for it to soon explode in popularity instead of playing catch-up when voice search goes from a trend to the primary way we interact with the internet. Older users tend to be more skeptical of voice search, but Olson and others suggest that might change as teens and younger people adapt. When it all boils down, it is hard to deny that voice search is only going to rise in the coming years. Data shows the movement is already gaining ground, and more people are steadily investing in home devices like Amazon Echos that utilize voice search to control home functions and order products. Taylor Ball https://www.tulsamarketingonline.com/wp-content/uploads/2018/07/TMO-Logo.png Taylor Ball2016-09-30 13:03:022016-09-30 13:03:02Is Voice Search About To Go Mainstream? Were you punished by Google’s Penguin algorithm? If you have, there is a good chance you’ve been waiting a year or longer to recover after taking all the necessary steps to have your site reconsidered. Thankfully, as part of the latest update to Penguin, you won’t have to wait much longer to see if you’ve bounced back. Google’s Gary Illyes confirmed, via Twitter, that Penguin recoveries have already begun rolling out and will be finished within the coming days. This means that sites that were penalized should start to show improvements within the next week. What it doesn’t mean, however, is that you can expect to return to your same former glory in the search engines. Removing the penalty still leaves you without the bad links likely driving much of your high ranking, so you can’t expect them to help boost you back up to high spots in the search results. On the other hand, if you’ve taken the time while you’ve been penalized to build new, better links and further optimize your site, you may come out ahead once all the recoveries are finished rolling out. Earlier this year, Facebook was excited to announce that over three million businesses actively advertise on their social ad network. Now, just seven months later, the company has added another million businesses to that number. In comparison, Facebook’s biggest competition in the social advertising field, Twitter, only took in a little over 130,000 advertisers in the fourth quarter of 2015. The Facebook-owned social platform Instagram announced last week that it has reached 500,000 brands purchasing ads each month, more than doubling from around 200,000 in February 2016. Really, the only ad network that counters the size of Facebook’s is Google, and they no longer say how many advertisers are active on their network. While the highlight of Facebook’s advertising announcement was the overall growth in advertisers, they also highlighted just how big of a factor mobile is in their ad network. Not only do more than 80% of Facebook’s advertising revenue come from ads shown on smartphones and tablets, but approximately 40% of Facebook’s active advertisers also have created ads on mobile devices. Another major player in Facebook’s ad network is video advertising. More than 20% of Facebook’s active advertisers have purchased video ads, and over four million new video ads are created on Facebook every month. While every social network has its benefits, it is hard to argue with the sheer size of Facebook’s ad network. No other social platform gives you the massive audience and versatile tools that make Facebook ads so popular with advertisers. Video is finally experiencing the dominance many have claimed it would rise to since the release of YouTube. No matter which platform you look at, it is hard not to see videos littered throughout all your feeds. This includes Twitter, which has made video a major part of its platform. As such, Twitter has also been keeping close track of how videos on its platform perform, to help advertisers know who is watching what, when, and whether these viewers are taking the time to watch pre-roll ads. Twitter and AdWeek just released the platform’s annual Online Video Playbook to share what makes Twitter uniquely suited to video content. In particular, the research shows that video ads in Twitter are at least twice as memorable as ads presented on other services. Google’s Penguin algorithm has been a core part of the search engines efforts to fight spam and low-quality content for years, but it has always been its own thing. The algorithm ran separate from Google’s core algorithm and was refreshed periodically. But that is all changing. Starting today, Penguin is running in real-time as part of Google’s primary algorithm in all languages. In the past, the Penguin algorithm has been relatively static. When it was updated or refreshed, it would dish out penalties and remove penalties from those who had gone successfully gone through the reconsideration process. The only problem was these updates were sporadic, at best. In fact, the last update was over 700 days ago. By turning Penguin into a real-time part of its algorithm, Google is speeding up the entire system so penalties can be given when a site is flagged and those who have resolved their problems can lose their penalty more quickly. According to Google, Penguin can now make changes in roughly the same period of time it takes the search engine to crawl and re-index a page. While the speed of Penguin is the biggest change as it becomes part of the core algorithm, there are some other small tweaks to how it works. Penguin is now more targeted, only penalizing specific pages with that break link guidelines. Google Penguin used to punish the entire site for containing pages containing spammy link building practices, but now it will only devalue the individual pages. Google’s Accelerated Mobile Pages (AMP) are starting to appear in organic search results, after months of only appearing in the ‘top stories’ carousel. Other platforms including Twitter and Facebook have launched their own versions of Accelerated Mobile Pages with their own unique features and structure. The coding framework allows Google to pre-load numerous assets with the goal of allowing publishers to deliver content extraordinarily quickly without sacrificing style or ad revenue. In the past, Google only showed a small fraction of the 600 million AMP documents published online within the limited ‘top stories’ carousel at the top of search results. Now, all AMP pages have a chance to appear in search engine results pages (SERPs) as organic search results. By default, Google will display AMP versions of pages in mobile search results when available. While AMP pages do not automatically rank better than other results, they are likely to provide strong competition in SERPs. AMP pages are not a direct search ranking signal, but page speed is. Considering AMP pages take less than one second to load on average, it is likely that high-quality AMP pages could dominate mobile results in the near future. 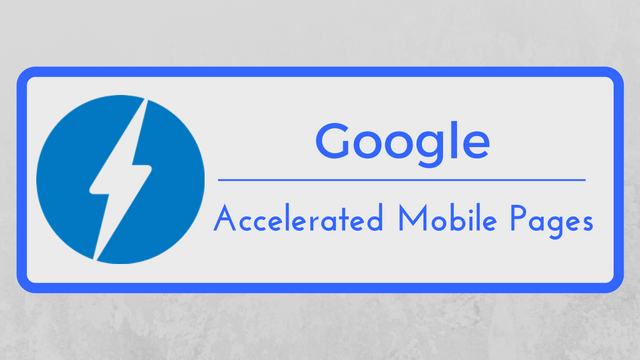 If you want to start using Accelerated Mobile Pages to deliver your content to mobile visitors, you have a few options. You can manually publish two separate versions of your content – one with your standard website code, and one using Google’s streamlined version of HTML. Or, you can use a number of plug-ins to automatically create and publish AMP versions of your content when you publish your normal version. With the WordPress AMP plugin from Automattic, you can immediately publish AMP pages with a single click. You don’t have to spend any time stressing or maintaining duplicate versions of your pages or digging into code to start publishing lightning-fast content to mobile searchers. In response to the surge in mobile browsing, Google has encouraged webmasters to optimize their sites for users across a wide variety of devices, like smartphones and tablets. However, one of Google’s most popular services, Gmail, hasn’t been as quick to change over. Brands hoping to optimize their emails for on-the-go users have been increasingly frustrated by Google’s lack of support for responsive email designs. Despite over half of all emails being opened on mobile devices, senders have been forced to use time-consuming and extremely complicated coding techniques to create emails that look great no matter where they are viewed – with often mixed results. Thankfully, Google has finally started to Gmail up to speed with the rest of its platform by allowing a limited support for responsive design. Of course, you’ll still have to use CSS media queries to create responsive emails that adapt like this. However, the change means you can now use a variety of widely-available tools or services that will optimize your emails for you without having to learn to code yourself. 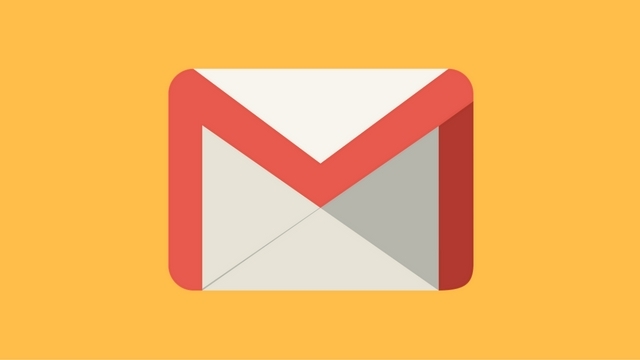 The change could mean emails delivered through Gmail will perform significantly better than they have in the past. The majority of users say they are likely to close and even delete emails that don’t render properly on their device. That is a big deal when over 75% of all Gmail’s one billion users say they use mobile devices to access their account on a regular basis. Online advertising is something many people hate. While some brands make it their effort to provide valuable ads in an un-intrusive format, it seems like the majority of websites and advertisers would rather bombard you with full-page interstitials, auto-playing video ads, and pop-ups no matter where you look. That is likely going to change soon. The biggest names in online advertising, including Facebook and Google, have joined together to improve digital ads in response to the rise of ad-blocking and widespread public dissatisfaction with ads. The Coalition for Better Ads was unveiled this week at the Dmexco conference in Cologne, Germany. The group’s founding members include not just Facebook and Google, but several huge advertisers like Procter & Gamble, Unilever, and The Washington Post. According to a report from AdWeek, the coalition also includes the 4As, the Association of National Advertisers, the World Federation of Advertisers, GroupM, and the Interactive Advertising Bureau. While the new coalition could mean big changes are coming to online advertising, don’t expect anything in the immediate future. For now, the coalition says they plan to monitor and evaluate the quality of online ads with technology being developed at the IAB’s Tech Lab, which will score ads on several factors including creative and load time. From there, the group will develop new standards using this data and other feedback from consumers and marketers. “It is essential that industry create standards to assure that consumers get safe, fast, secure delivery of the sites and services they love,” said IAB CEO Randall Rothenberg. The announcement comes just days after AdBlock Plus, the biggest ad blocker on the market, unveiled a new “Acceptable Ads” program, which will function as an ad exchange that sells ads to brands looking to work around the software distributed by the company. The announcement of the Acceptable Ads service claimed it would be working with Google and AppNexus to distribute ads, however, both companies have since disavowed their relationship with AdBlock Plus and its new business strategy. This past July, Google began rolling out expanded text ads to advertisers everywhere. The intention is to eventually replace the standard text ads offered by Google with the new, longer versions. But, it looks like some advertisers are taking longer than expected to get adjusted to the new ad format. When expanded text ads were released, Google said standard text ads would cease to be available starting October 26, but it is pushing back the deadline to early next year to allow advertisers to become more accustomed to expanded text ads. Now, Google says advertisers have until January 31, 2017, to make the switch. After this date, brands advertising on Google’s network will no longer be able to create or edit standard text ads. Instead, they will be forced to use expanded text ads. While standard text ads won’t be available to advertisers, Google says it will continue to serve ads standard text ads that have already been made and published after the deadline. Google has said the release of expanded text ads is intended to help advertisers improve their ad quality scores and improve clickthrough rates, but it is important to note that just making your ad longer doesn’t necessarily mean it will receive a better quality score. It does, however, allow advertisers more flexibility to put forth the best ads possible. Test multiple versions of your expanded text ads. Focus your testing on headlines. Replicate what works in standard text ads in your expanded text ads. Consider shorter headlines on brand terms. Leave your standard text ads running until the new versions are consistently outperforming them. Review your pre-existing ads for previous success with longer headlines. Don’t implement the same expanded text ad across many different ad groups. Don’t blindly insert a new second headline without changing the rest of the ad. Don’t write expanded text ads that lose their relevance to a user’s query. Don’t leave out specific benefits or attributes of your product that had proven to be enticing in the past. How many times have you spent several minutes, maybe even hours, planning and scheduling the perfect post to social media, only to receive a torrent of hate in response? I don’t mean disgruntled customers voicing a complaint. I mean the abusive, hateful, and often vulgar comments that flood social media posts from brands, celebrities, and anyone else who chooses to post on sites like Facebook, Twitter, and Instagram. These awful comments have become so commonplace many just view them as an unfortunate fact of life, but some social platforms are starting to take steps to erase the hate from their sites. This week, Instagram unveiled a new filter that users can enable to hide inappropriate or abusive comments and messages aimed at making the image-sharing platform a safer place for brands and users alike. 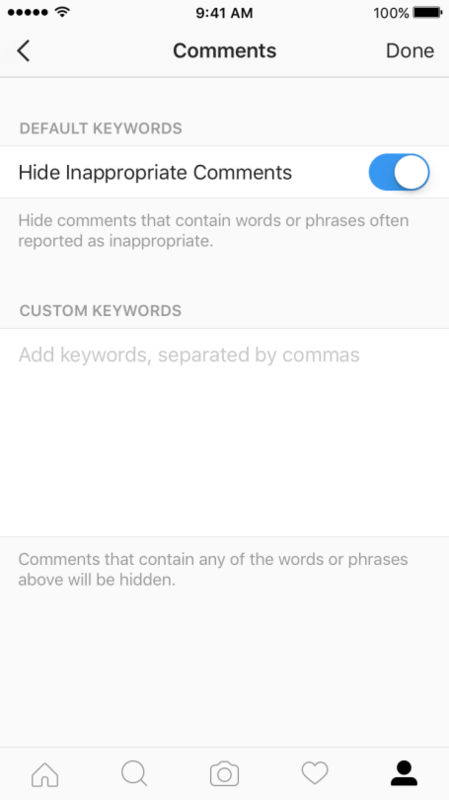 The new feature allows users to hide comments containing words or phrases that are frequently reported as inappropriate, but posters can also list custom keywords or phrases they wish to have hidden in comments under their posts. While the feature gives posters more control over the comments they receive, it isn’t without its limits. The filter only blocks negative or inappropriate comments and can’t be used to block other abusive types of media uploaded to the site like image memes or videos. Brands who receive rampant hate from trolls or abusive users also still have the ability to delete comments, report users, or block specific accounts. Enabling the filter is easy. Just click the gear icon in your Instagram profile and click on the new “comments” feature. From there, you can toggle the filter on and off or add your own list of words or phrases you wish to have blocked from your page. While the tool may be an effective way to filter out the random abuse many receive on social media, I would caution brands from using it as a way of hiding messages from users with legitimate complaints or issues, as that only tends to make matters worse.